A complete PREMIUM two-day tour of London to discover the best know sights and symbols of the British capital - from the London Eye and St. Paul’s Cathedral to the Tower of London with the famous Crown Jewels as far as the city’s historical and political heart in Westminster and Buckingham Palace with a spot of shopping around the boutiques and markets in Covent Garden. 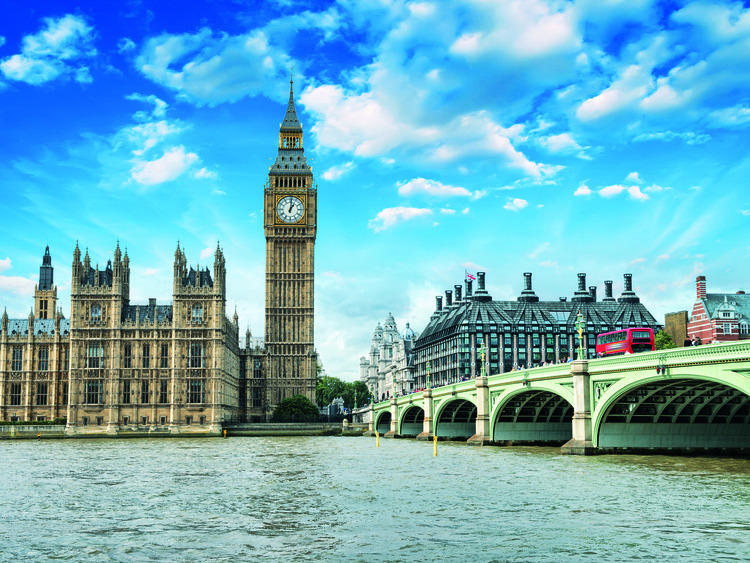 The tour also includes a lovely evening dinner on the Thames and afternoon tea: there is no better way to explore this multi-faceted European capital. We start our two-day tour of London by visiting one of its most famous symbols offering 360° views of the city: the London Eye, the observation wheel from which we can admire London’s most famous buildings and monuments. We then move on to the Southbank, the cultural heart of London on the south bank of the Thames brimming with theatres and venues dedicated to arts, fairs and events. We have some free time for lunch before getting back on our coach for a sightseeing tour around the city to appreciate the amazing architecture of St.Paul’s Cathedral, the main Anglican church in London. We continue our tour in the afternoon with a visit to one of the oldest buildings in the capital, the Tower of London, built in 1078 on the northern bank of River Thames and displaying the Crown Jewels. We fully immerse ourselves into the regal historic atmosphere of this place that used to be the residence of the English kings and queens as well as an armoury, fortress and, most of all, scene of bloody executions. As well as admiring the jewels and visiting the various rooms of the castle including the Torture Chamber, which displays medieval instruments of torture, our attention is captured by the Beefeaters, the ceremonial guardians of the Tower of London historically in charge with safeguarding the Crown Jewels and monitoring prisoners, and by the crows, i.e. the other “guardians” of the fortress traditionally considered a protection of the British Crown and Empire (according to legend, in fact, the Crown and Great Britain will fall should the crows die or fly away). We check-in our hotel in the late afternoon and venture out again to admire London by night during an enchanting cruise on the Thames with dinner included. We spend the night in an EXECUTIVE room at the 5-star Grange City Hotel. We have some time available to spend in the SPA and 25 m pool or to enjoy the Jacuzzi, sauna, Turkish bath and aromatherapy room. We start our second day in London with a tour to see some of the most important sights such as The Mall leading to Buckingham Palace, the official residence of the Queen and of the British Monarchy. If time allows, we might even witness the famous Changing of the Guard, a ceremony symbol of the English tradition that attracts many tourists every day. We continue our sightseeing tour headed to Westminster Abbey for a guided tour. This Gothic church is where the English monarchs are crowned as well as the place of rest of important figures. It is where Pince William, Duke of Cambridge, married Kate Middleton in 2011. The political heart of the city is located nearby with Parliament Square and Downing Street where the Prime Minister resides at number 10. After savouring a delicious English tea, we continue towards Covent Garden, a lively area famous for its numerous theatres including the Royal Opera House as well as for its fashion boutiques and markets such as the Apple Market. We have some free time available to enjoy a spot of shopping and admire the street artists animating the area’s streets and squares. After this second day spent discovering London, we return to Harwich where our ship awaits us.